In a stand mixer fitted with the dough hook, mix the 1 1/2 cups of milk with the yeast and 1 tablespoon of the sugar. Let stand until foamy, about 5 minutes. Mix in the stick of melted butter, the egg, fine sea salt and the remaining 3 tablespoons of sugar. At low speed, mix in 4 1/2 cups of flour until the dough comes together; add more flour by the teaspoon if the dough is sticking to the side of the bowl. Mix at medium speed until the dough is soft and forms a loose ball around the hook, about 5 minutes. Transfer the dough to a buttered bowl. Cover with plastic wrap and let stand in a warm spot until doubled in bulk, about 1 1/2 hours. surface and cut into 18 equal pieces. Shape each piece into a ball, pinching the bottoms to seal. Arrange the balls 3 inches apart on the prepared sheets. Cover the rolls loosely with plastic wrap and let stand in a warm spot until doubled in bulk, about 1 hour. Preheat the oven to 350°. 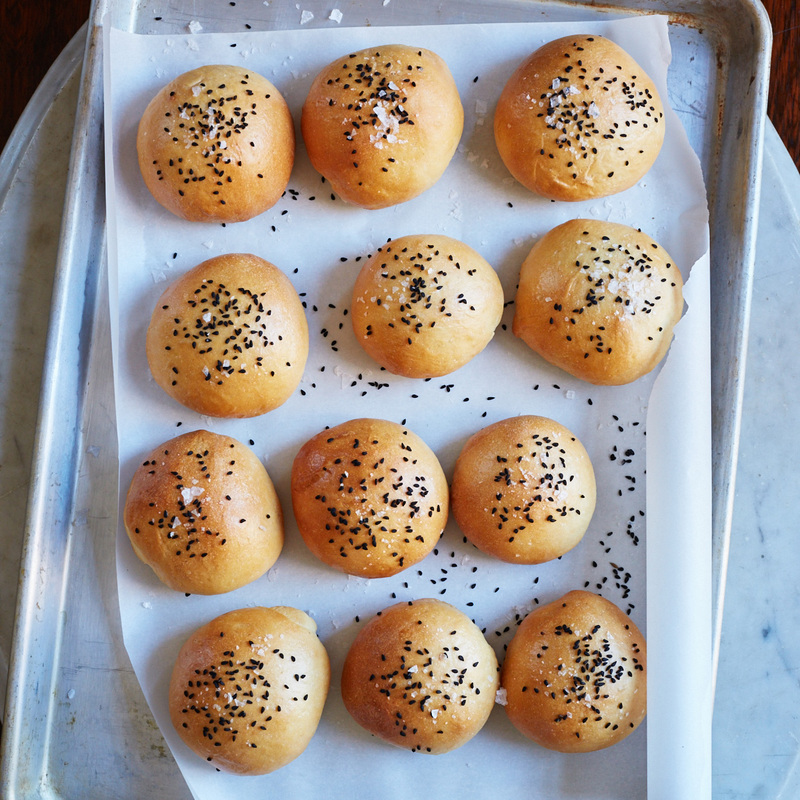 Brush the rolls with milk and sprinkle with nigella seeds and flaky sea salt. Bake for about 25 minutes, until browned. Serve warm or at room temperature.